Woodmon: "Those that lack Rosemon-sama's permission will not pass! Hurry and get out!" February 12th, 2016. 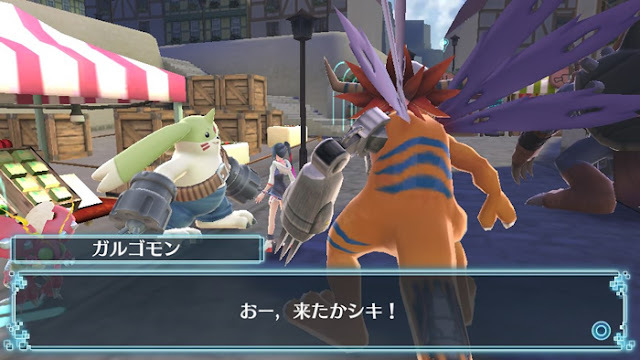 The official Digimon World -next 0rder- title site published four new screenshots, each showing a line of dialogue from the various Digimon the player meets in the game. 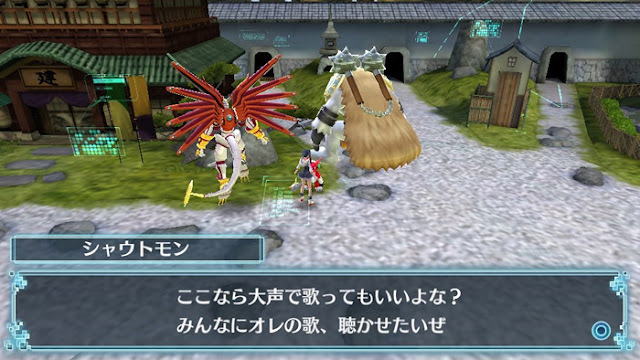 Of note is that the final screenshot shows an NPC Shoutmon in the village of Flowtier. This is Shoutmon's first appearance in a World game, and until now he was only shown to be a raisable Digimon with no storyline role. English translations are provided below. 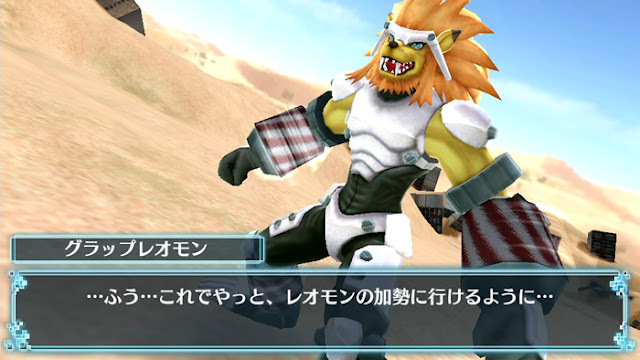 Grap Leomon: "...Hm...With this, at last I can go to Leomon's aid..."
Galgomon: "Ohh, Shiki, you came!" Shoutmon: "It's fine if I sing real loud here, yeah? I want everyone to listen to my song!" 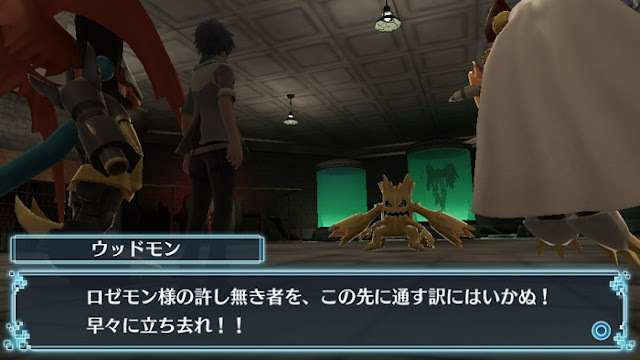 Anyone else notice the Shinegreymon (maybe) in the background of the first screenshot.